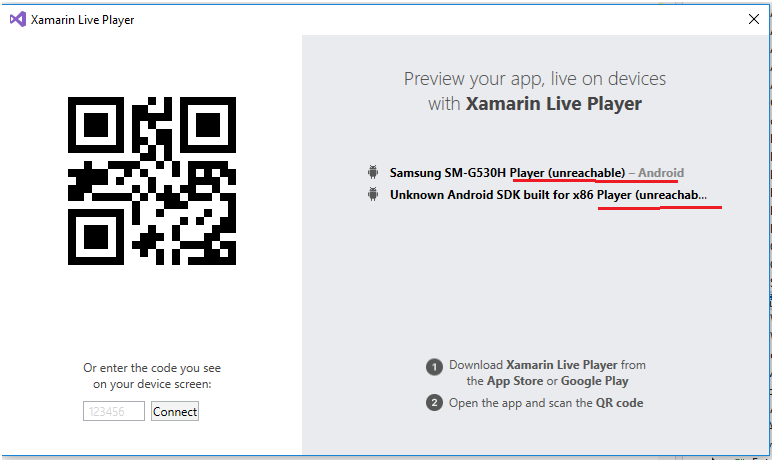 Xamarin Live Player could not displaying preview, When run Live Player that time display Unable to deploy to XXXX and Failed to debug your app. I also ran into this same issue while testing out the Live Player on my home machine. Unable to deploy to ....., please ensure the Xamarin Live Player app is open and the device is on the same network as Visual Studio. @MatejKrhin , thank you. It resolves the issue.